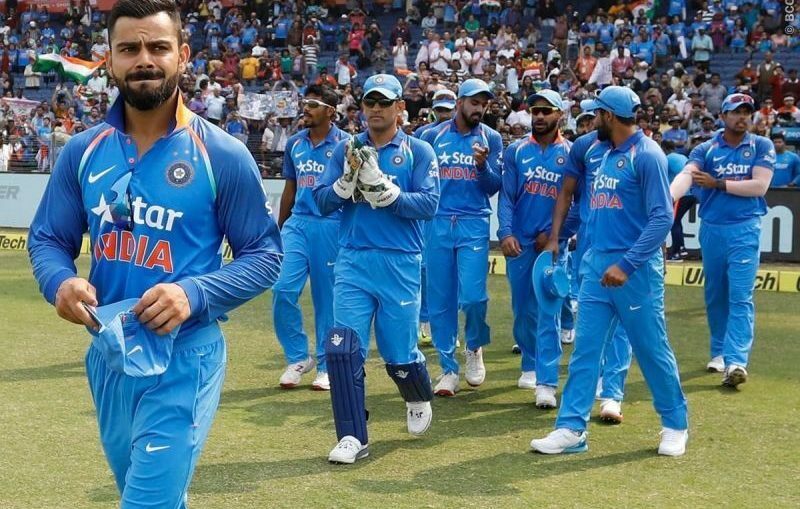 ICC World Cup 2019 : The 15-member Indian Team, led by Virat Kohli, has been announced for the ODI World Cup starting from May 30 in England. The five-member committee headed by MSK Prasad selected this team. Captain Virat Kohli and coach Ravi Shastri were also present during the team selection. It will be the first World Cup for Virat Kohli as a captain while he will play his third World Cup as a player. India will open its campaign against South Africa on June 5 in this World Cup. Virat Kohli (captain), Rohit Sharma (vice-captain), Shikhar Dhawan, KL Rahul, Vijay Shankar, Mahendra Singh Dhoni (wk), Kedar Jadhav, Dinesh Karthik, Yuzvendra Chahal, Kuldeep Yadav, Bhuvneshwar Kumar, Jasprit Bumrah, Hardik Pandya, Ravindra Jadeja and Mohammed Shami. India won first ODI world cup under the captaincy of Kapil dev in 1983 and second in the year 2011, under Mahendra Singh Dhoni’s captaincy. Now it will look to win this title for the third time under the captaincy of Virat Kohli.